What Happens When You Remove Someone On Snapchat? There are a lot of questions regarding what happens when you delete someone on Snapchat, so in this article, I thought I’d address all of them one by one, and answer them. 1. Will you be able to see their Snaps or stories? When you delete someone on Snapchat, you won’t be able to view their stories nor see their snaps. 2. Will they be able to see your snaps? 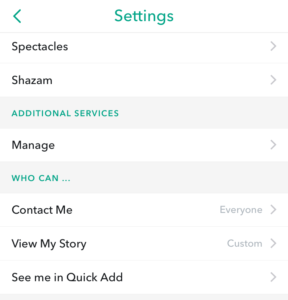 When you delete someone from Snapchat, they won’t be able to see your stories nor your snaps, because they won’t be able to gain access to your profile. When you delete someone from your Snapchat, they will still be able to view saved messages in your chat. If you decide to add them back after you’ve deleted them, they will get a notification about you adding them. Thus will lead to them knowing that you removed them before you added them back. When you remove them, they will still be able to add you, however, you decide if you accept or not. When you remove someone on Snapchat, they will not be notified about it in any way. When you remove someone, they won’t be able to view your Stories, unless you have your stories set as public. If you don’t wish to allow people who aren’t friends with you to view your stories, you can set your Stories settings to private. 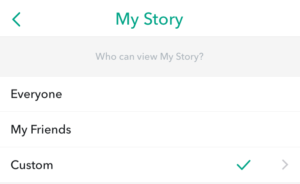 Now, only your Snapchat friends will be able to view your story. When you delete someone on Snapchat, their username will disappear from your list of Snapchat friends. When you remove someone, they will see a “pending” text when sending you a snap, until you add them again. it will not say “sent” as it normally does. If they search for your username, it will show your username icon in white instead of purple, which means that they are deleted by you.